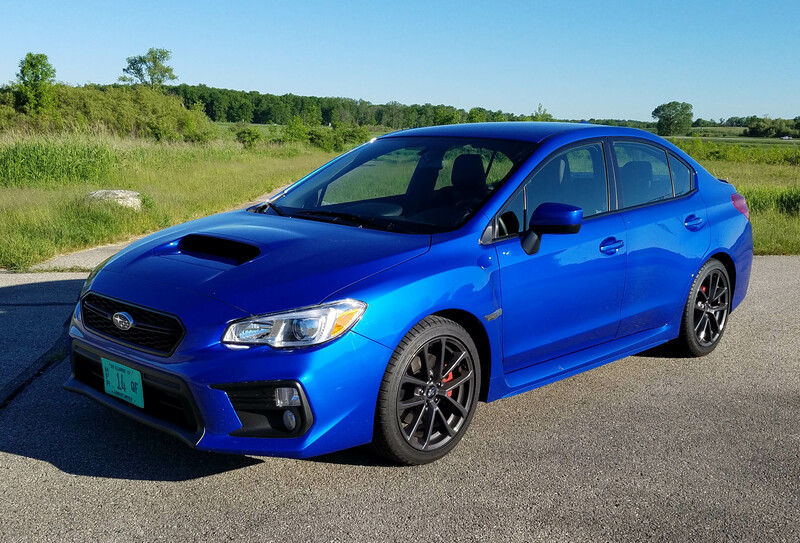 Mention the Subaru WRX in front of young adult males and you’re likely to become the most interesting man, or woman, in the world. Subaru devotees are a, well, devoted lot and WRX fans are darn near rabid. Face it, some folks, especially young males, love speed and yet their wallets aren’t fat enough to go Corvette or BMW shopping and their egos or tastes may not desire a Mustang, Camaro or Challenger. 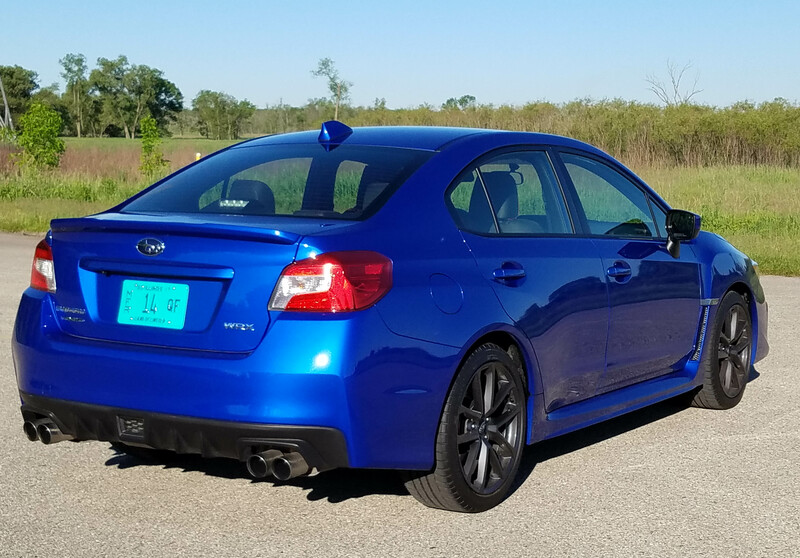 So it comes down to two cars really, the race-ready Ford Focus RS I drove a month or so back, and Subie’s WRX. Lucky for Subie followers, the WRX just happens to be revamped for 2018 already. But to my way of thinking it blends in too much, not a problem with the winged Focus. WRX needs a more muscular look than just its shallow lower body cladding, splitter on the lower nose and gaping air scoop on the hood. It really doesn’t look fast at all. And don’t get me started on the rear spoiler. It’s virtually non-existent on the tested Premium model. Several co-workers asked if I had a new Corolla to test drive for the week – really! Yet the tested bright blue WRX still has the guts that its young, mostly male, audience desires. WRX is Subaru’s abbreviation for wicked fast! Has been for 23 years too, and yet, this flipped-out head case of a car is still a rush, a thrill, a beast. But it’s way more affordable than most speed-oriented machines, and as practical in most ways as any sedan, plus not all that tough on gas, considering. Let’s start with a few numbers. 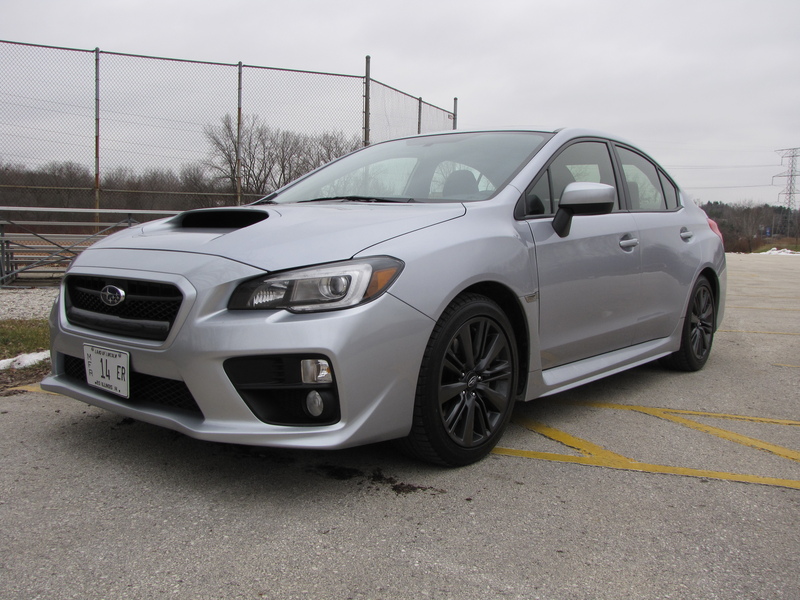 The WRX, which is a Subaru Impreza on steroids, starts at $27,090 (including delivery), comes standard with all-wheel-drive to make it stick to the street, boasts 268 horsepower and 258 lb.-ft. of torque and is rated 21 mpg city and 28 mpg highway in its 6-speed manual configuration. Weight is just 3,267 lbs. 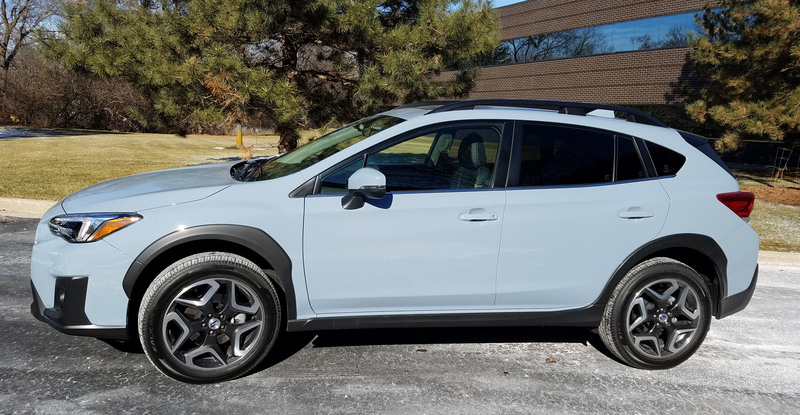 Subaru’s new crossover, the XV Crosstrek, is an attractive vehicle that splits the difference between sedan, wagon and crossover, with many of the good characteristics of each. But the Crosstrek, which rides on the compact Impreza platform, is underpowered, so keep that in mind if you plan to haul four people or a load of stuff under its roomy hatchback. 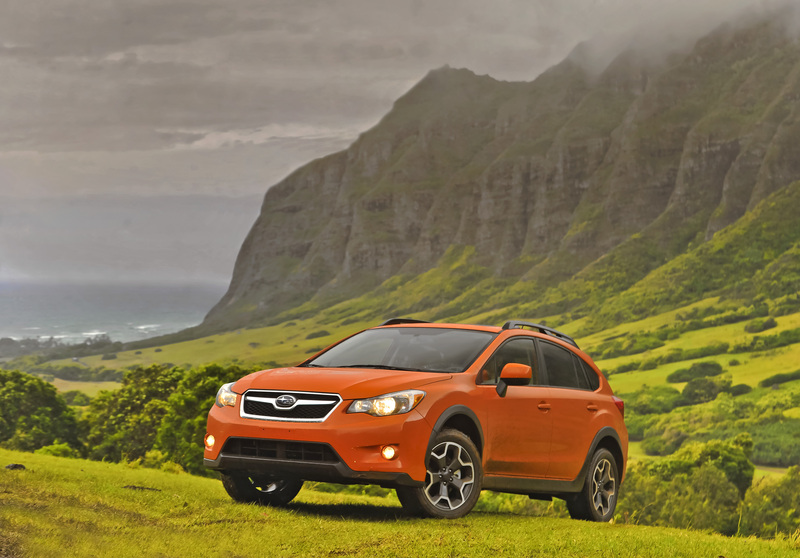 I like that Crosstrek has 8.7 inches of ground clearance, but looks more like a tall hatchback than a true crossover or SUV, now a dying breed as most truck-based SUVs have switched to car chassis. But, like a Subaru sedan, this has good road manners. It’s easy to drive and handles well with a moderately light steering feel from the electronic power assisted steering system. Mitsubishi doesn’t sell a lot of vehicles in the U.S. market, but it still appeals to the boy toy racer crowd with its Lancer Evolution. However, it probably says something about the market for a super high-horse turbocharged 4-cylinder sedan that it’s pretty much a two car segment consisting of the Evo and Subaru’s WRX, based on its Impreza sedan.